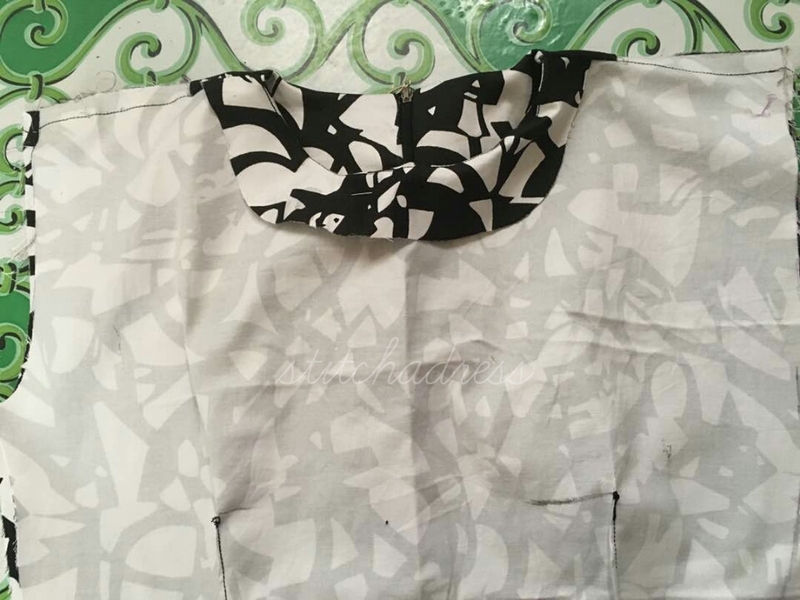 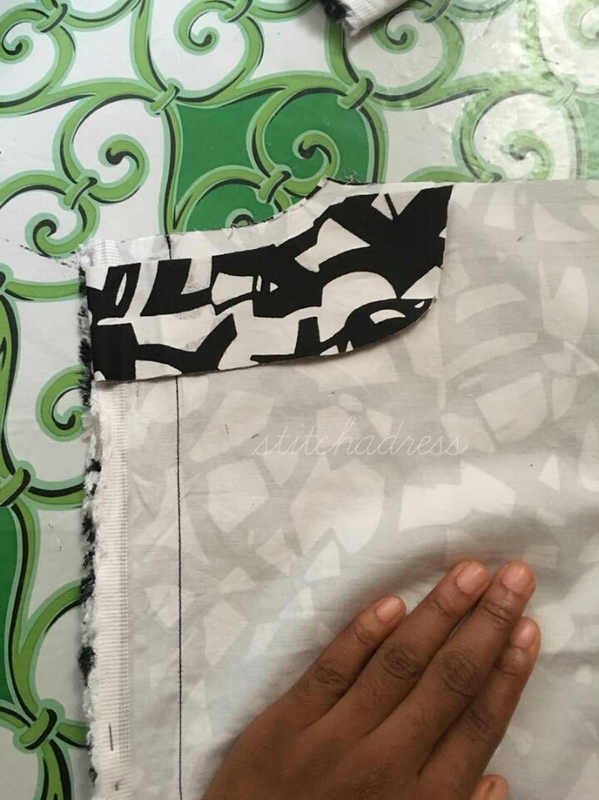 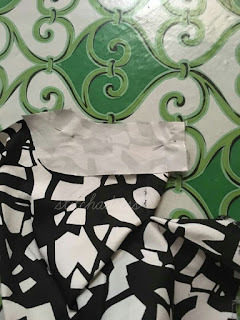 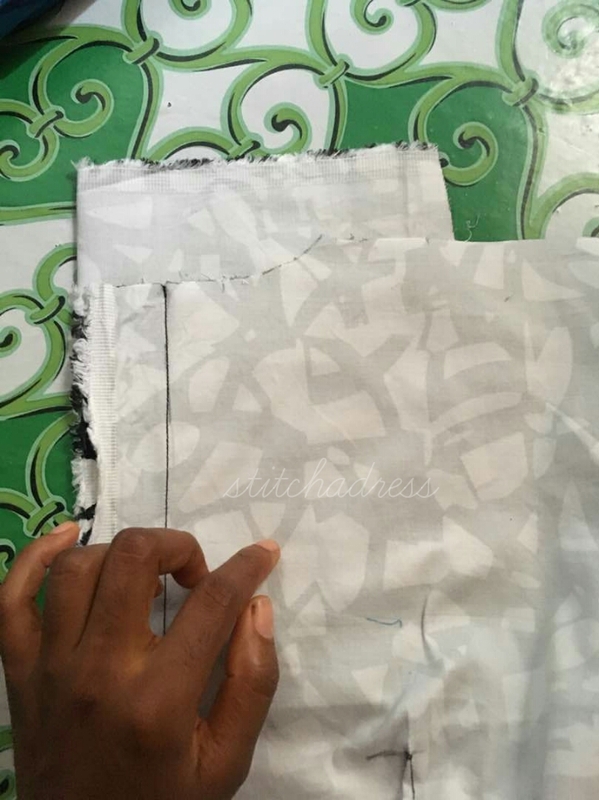 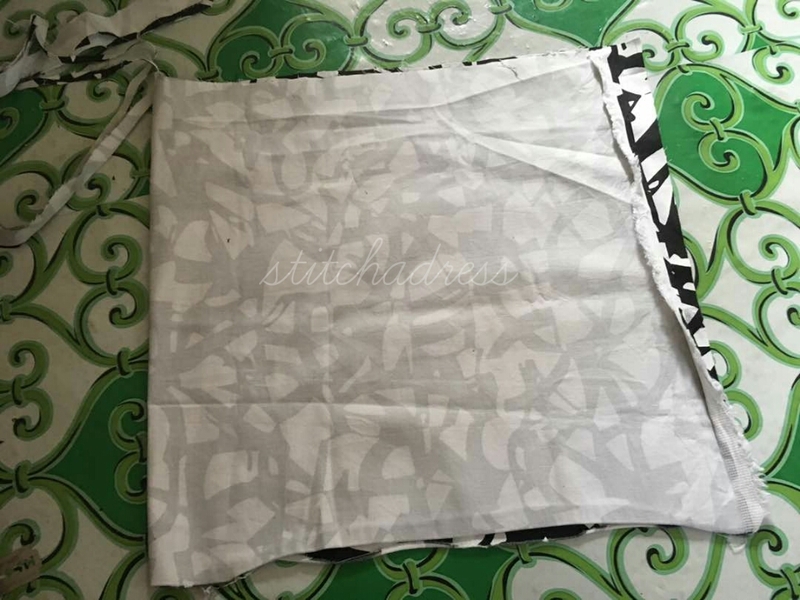 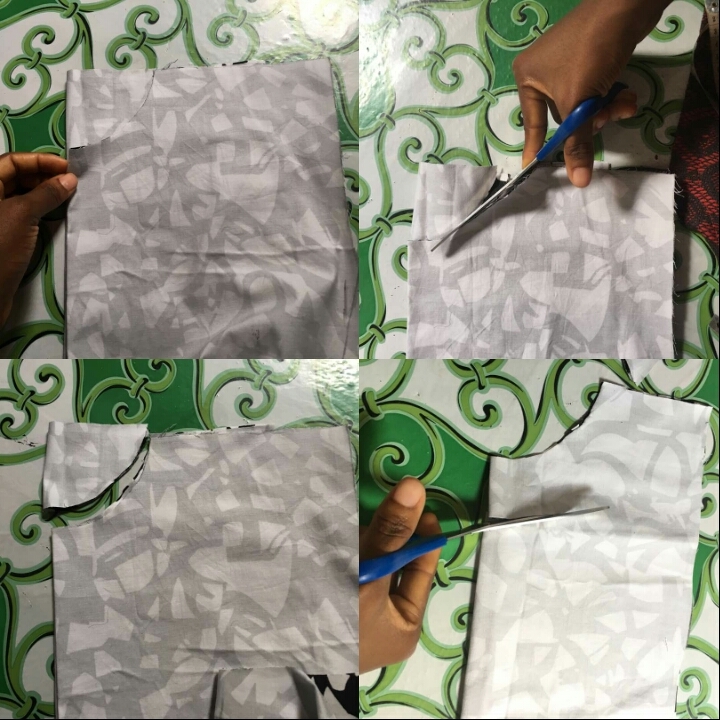 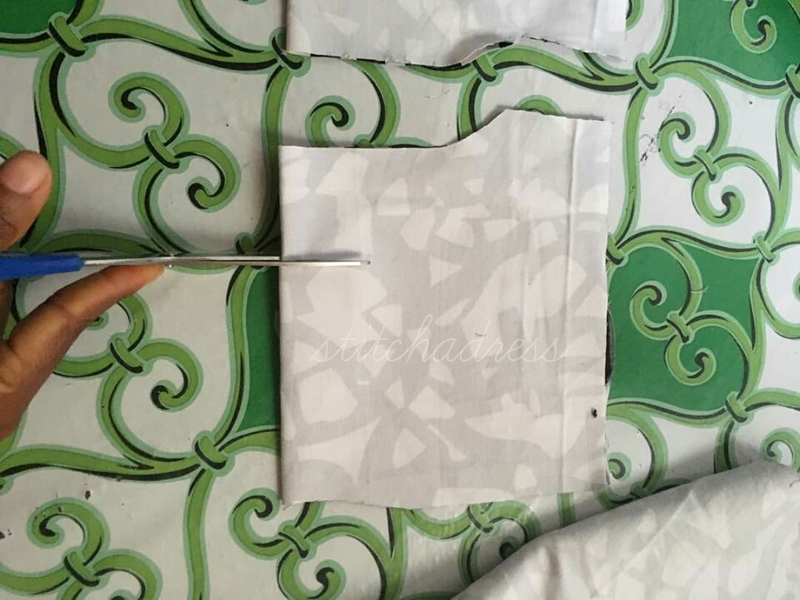 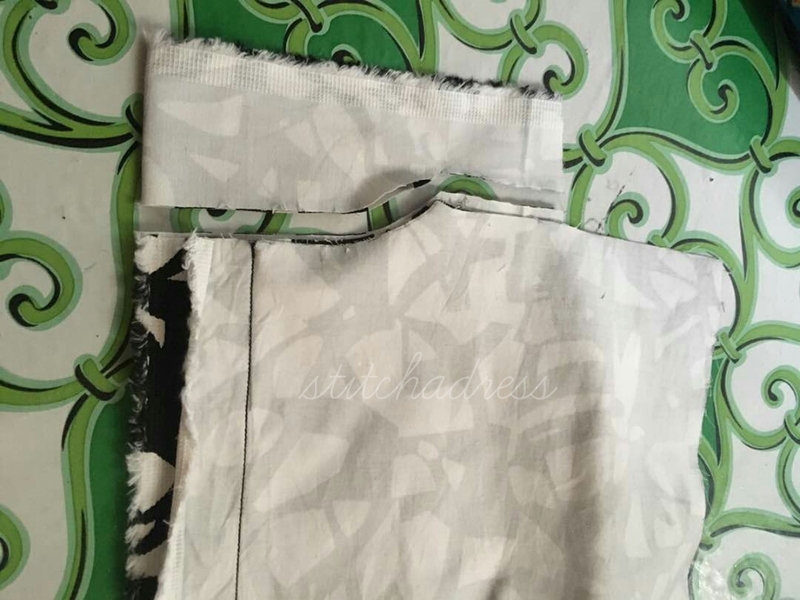 In sewing facing is something used to turnover a necklines, waistlines, sleeves and armholes in other to make it sit properly and neatly.This can be done with same fabric being used to sew the piece, a lining, another material ( it could be a design) or sometimes a bias tape. Its very easy to make a perfect "facing" and i will show you how in a bit! after that use your chalk to trace the neckline then cut. When you are done take out the main piece, measure out your desired length of the facing and just cut. 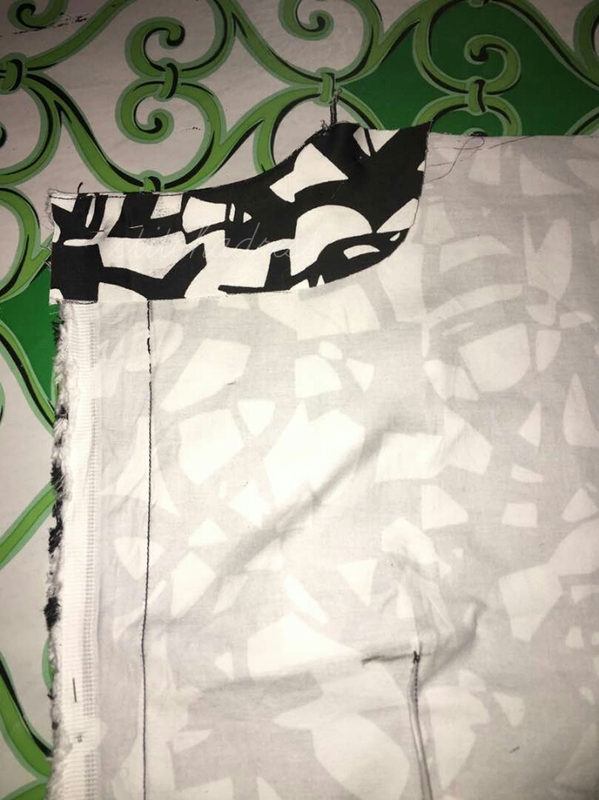 Can you see how it fits properly? 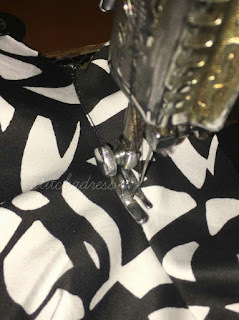 just sew around the neckline, topstitch and flip it over to the inner side of the dress. 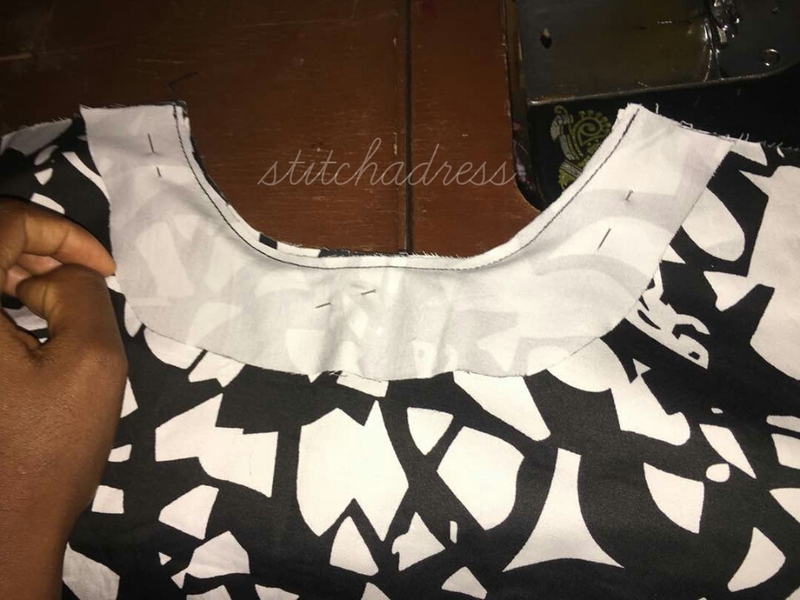 Neckline turned in without stress or sweat! N.B: Apply gum stay or air stay on the facing before sewing it to the main piece. Can you see how neatly tucked in my neckline is? 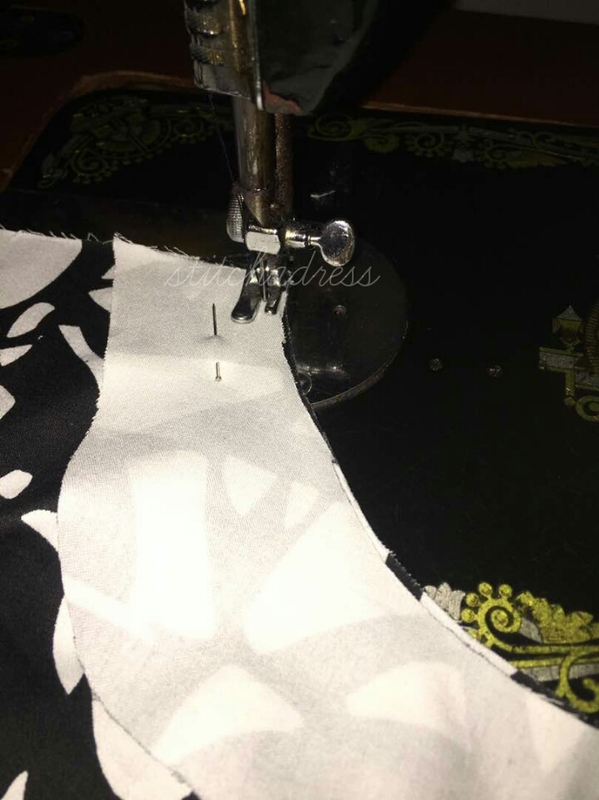 that's the finishing you get when you cut and sew your facing properly. I will be giving out the pattern for this dress to one lucky winner all you have to do is follow me on instagram, give one reason why you want the pattern and your dress size( this particular post below). There will be more giveaway so keep in touch! 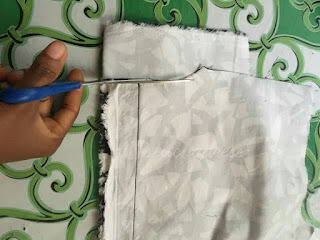 Am always here to answer any question about sewing so feel free to ask, lets be sewcialise on instagram and thanks for stopping by.